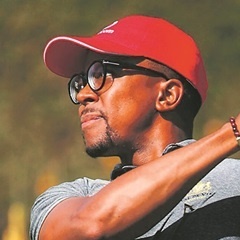 Johannesburg - The Gary Player Invitational (GPI) charity tournament featuring top professionals, businessmen and sporting greats tees off at Sun City’s Lost City Golf Course on Friday. The first day will feature a pro-am followed by the clash of seasoned golfers on the remaining days. The aim of the event is to raise R6 million during the three days of the contest. The money will be shared by charities Wildlands Conservation Trust, which has waste recycling projects in impoverished communities and Wings and Wishes, which funds transport for critically-ill children to receive specialised treatment. One person who is looking forward to shining at the event is television presenter, actor and entrepreneur Masego “Maps” Maponyane. He will be making his debut as he swings clubs against professional players. They will include erstwhile European Ryder Cup captain and 2011 British Open champion Darren Clarke of Northern Ireland, South Africa’s Brandon Stone, twice winner on the Europe Tour and England’s most accomplished female player and four-time major victor, Laura Davies. Said Maponyane: “It’s the first time that I will be competing at the GPI and am looking forward to it. I’ve always dreamt of being in the line-up of the showdown and support charity". He is son of football legend, Marks Maponyane. He is determined not to be outclassed on the course as he was an aspiring golfer while he was still at school. “I don’t get enough time to play golf because of my hectic schedule. But I hope to enjoy a good round at Sun City". Springbok rugby great Chester Williams will be among the celebrities and will join former Dutch football great Ruud Gullit, erstwhile Liverpool and England player Robbie Fowler and former Bafana Bafana defender Matthew Booth. Marc Player, chief executive officer of Black Knight International, says the series, which runs globally, has raised more than R800m for different charities worldwide. “The target is to raise $100 million (R1.4 billion) by 2025. We hope to stage our first event in Japan next year,” he said.